Found one file extension association related to Active-HDL and 1 file format developed specifically for use with Active-HDL. Developer / company: Aldec, Inc.
Active-HDL is a Windows based integrated FPGA Design and Simulation solution. 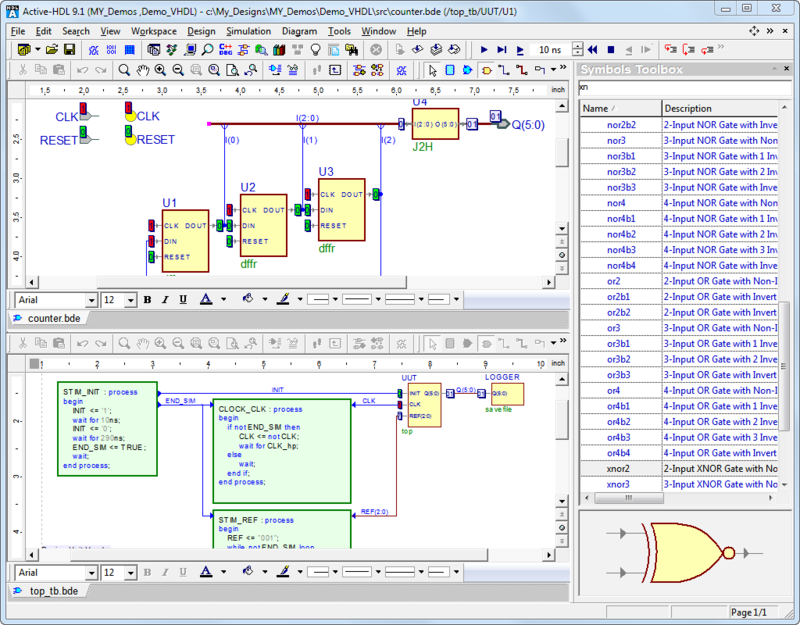 Active-HDL includes a full HDL graphical design tool suite and RTL/gate-level mixed-language Simulator. The design flow manager evokes 80 plus EDA and FPGA tools, during design, simulation, synthesis and implementation flows, making it a seamless and flexible design and verification platform. Active-HDL supports industry leading FPGA devices, from Altera, Atmel, Lattice, Microsemi (Actel), Quicklogic, Xilinx and more. If you need more information please contact the developers of Active-HDL (Aldec, Inc.), or check out their product website.